As ladies, we are all in agreement that taxing tampons is insane, right? Thank goodness, some of our legislators are FINALLY getting it: The Chicago City Council just voted to get rid of that pesky tax on feminine hygiene products. But unfortunately, the tax they have control of only covers a teensy portion of the full tampon tax in Chicago—but…baby steps. Here’s how it went down: A recommendation was made without opposition by the council’s finance committee last week to strike down the law and today, the Chicago City Council voted for it. Tampons and pads are currently taxed 10.25 percent in Chicago. The motion will remove the city’s portion of tax on those items, which is an underwhelming 1.25 percent. At this point, we’ll take what we can get, but like we said, baby steps. The state of Illinois is also moving toward removing feminine hygiene and incontinence products from the domain of the state sales tax. The breakthrough in legislation comes at a time when many women have been speaking out about the unfairness of the law. 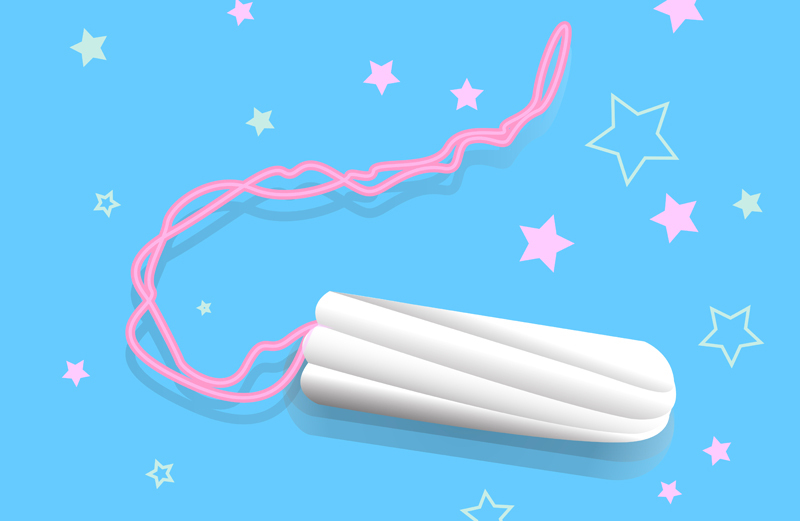 Only Massachusetts, Maryland, Pennsylvania, New Jersey, and Minnesota do not tax tampons and pads (four others—Montana, New Hampshire, Oregon, and Alaska—do not have sales tax at all). At least seven states are now considering making laws against the tax. And five women in New York are currently suing the government, saying that the tax is unconstitutional. This is an awesome (and very important) movement and we’re so excited to see more and more people (and states and legislatures) getting behind it.